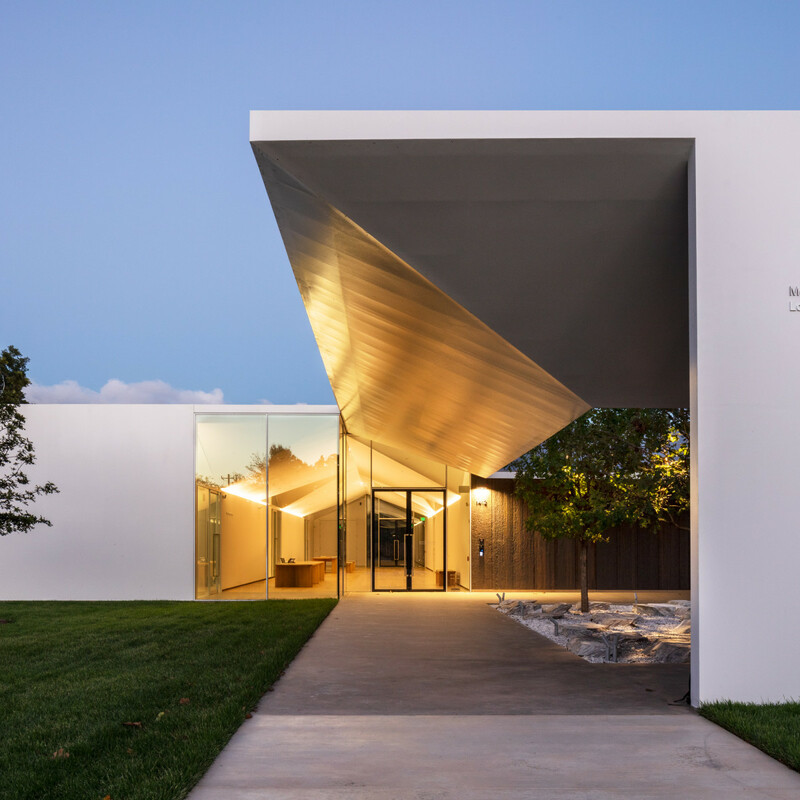 A dream that began in Dominque de Menil’s lifetime finally becomes a reality as the Menil Collection opens the doors of the Menil Drawing Institute Louisa Stude Sarofim Building and welcomes Houston into an art space like no other. Though it might seem we’ve been anticipating the completion of the MDI for a decade, the Menil only broke ground in 2015. 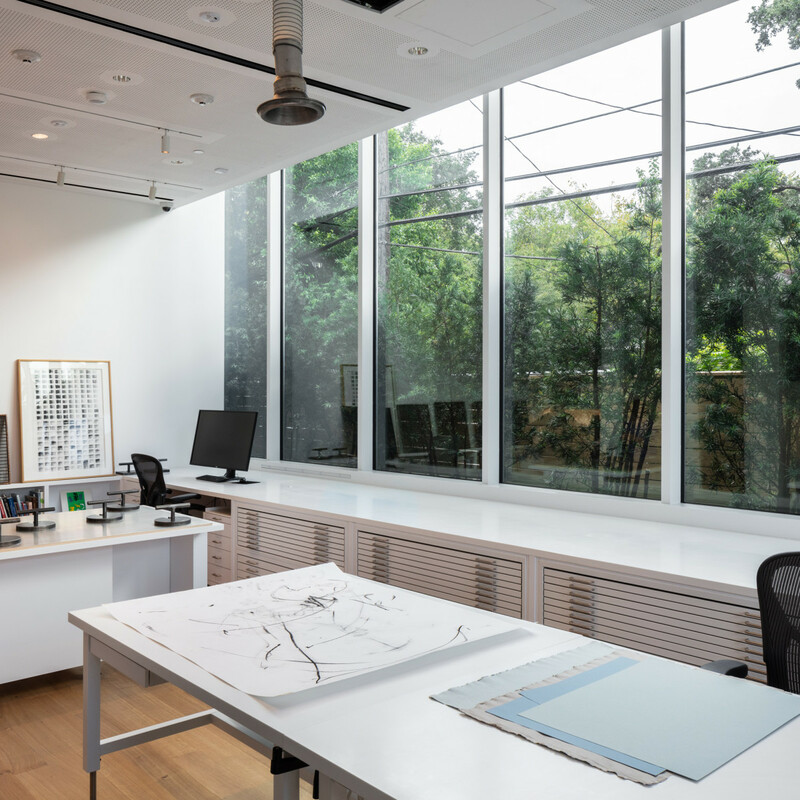 The three-and-a-half years of construction, with a few delays, seems like a blink of an artist’s-eye compared to what the Menil has accomplished transforming the whole campus neighborhood while creating a serene haven for both art — specifically delicate works on paper — and art lovers alike. “Based on the premise that drawing is central to artistic practice, this addition to Menil’s neighborhood of art provides an intimate setting for public and scholarly community to access drawings thus advancing appreciation and scholarship of the medium,” says Menil director Rebecca Rabinow, at a recent preview walkthrough of the 30,000-square-foot, $40 million building, designed by Johnston Marklee in collaboration with landscape architects Michael Van Valkenburgh Associates. 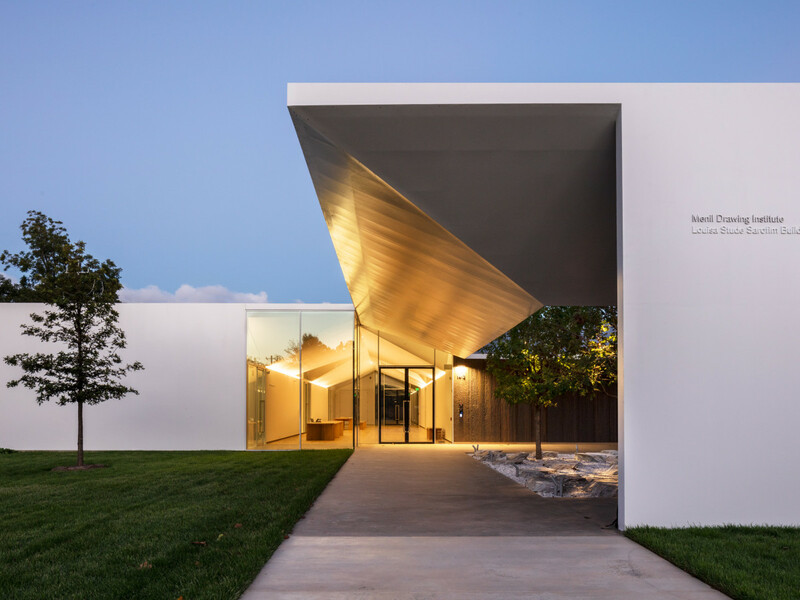 In describing how this decades in the making project came to fruition, Rabinow noted John and Dominique de Menil’s deep commitment to collecting modern and contemporary drawings. “It was of great importance to them that they make sustained commitments to living artists, and purchasing drawings became one of the pillars of their support,” explains Rabinow. 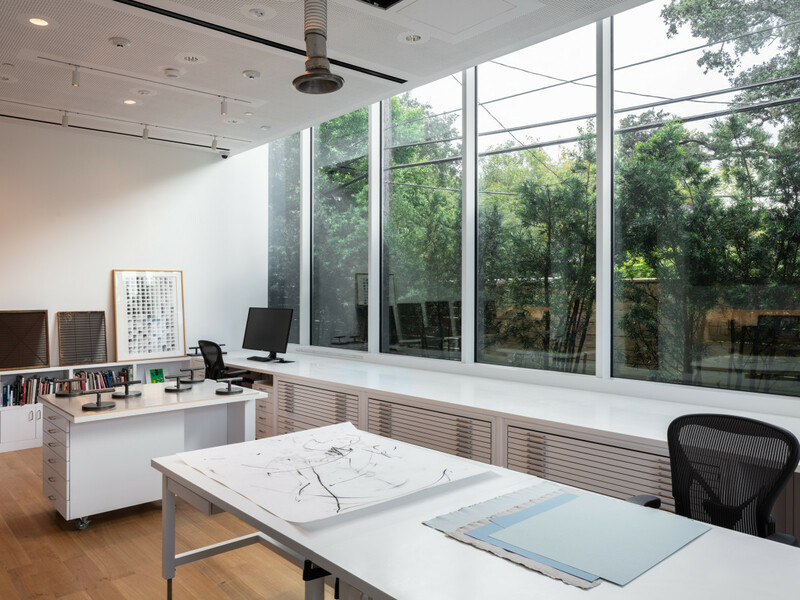 The project to house and conserve the Collection’s great works on paper called for what Rabinow describes as an “unprecedented,” building dedicated to the acquisition, study, exhibition, conservation and storage of modern and contemporary drawings. 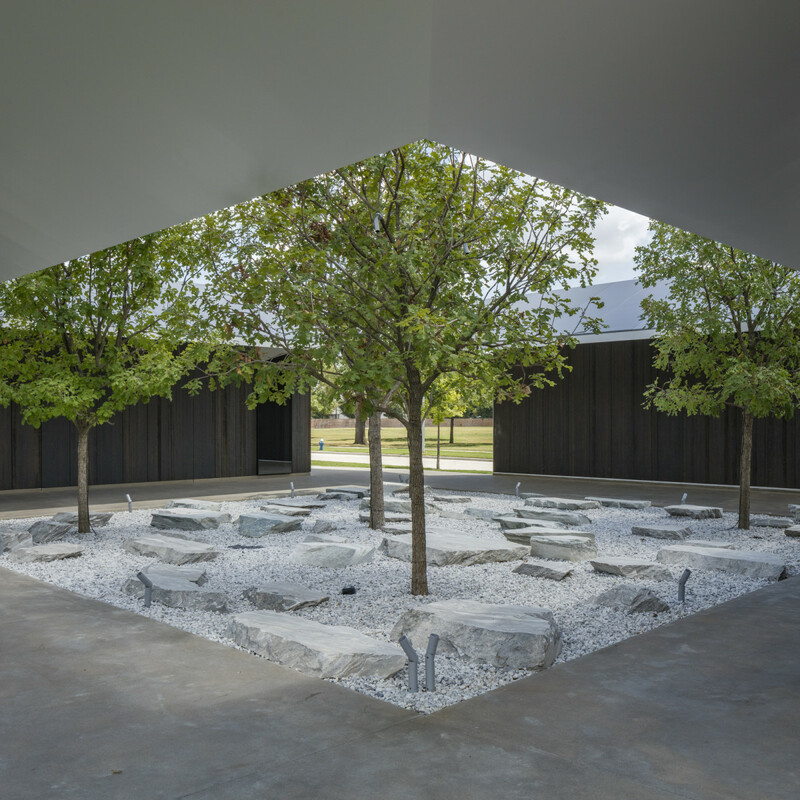 The multipurpose use of building required designs from Johnston Marklee that would become a natural addition to the Menil campus, tame the sometimes brutal Houston sunlight, while also keeping the works safe from any Houston flooding. 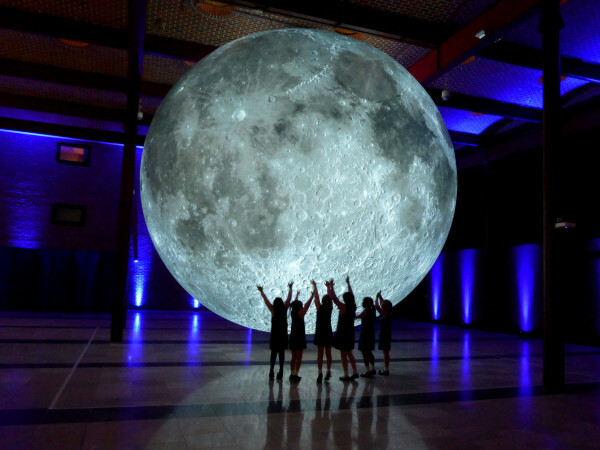 With two shaded outdoor courtyards, an indoor cool-light-filled “living room” connecting the courtyards and a 2,850-square-foot exhibition space open to the public, along with private office space, a conservation lab, a “scholars’ cloister” and below-ground art storage areas, the MDI beautiful fulfills its many purposes. 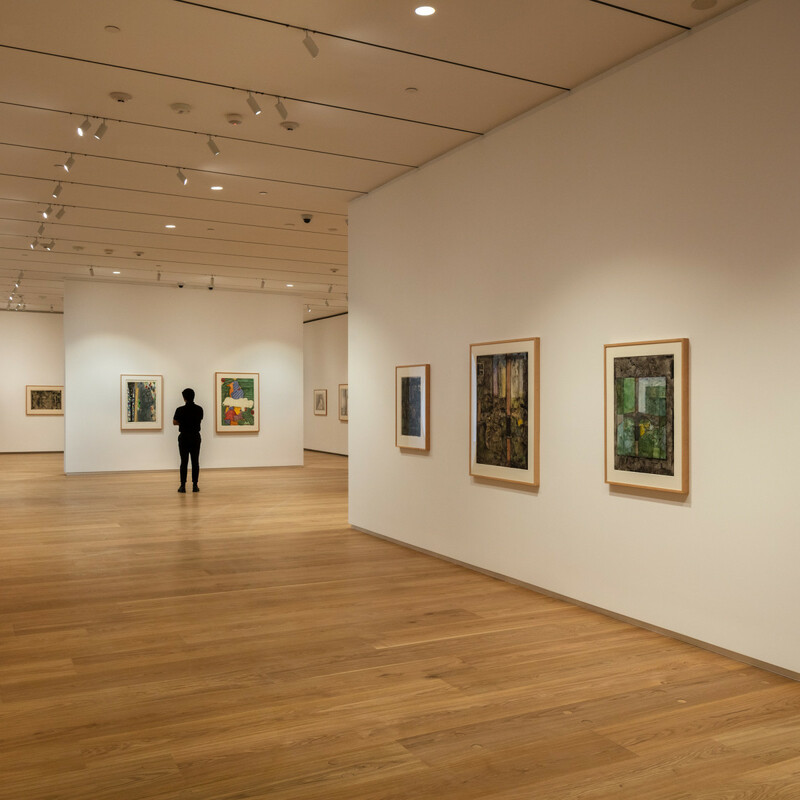 The building becomes as much of an artwork as the pieces it holds, as the lines, stark planes, and sharp angles juxtaposed with its lush courtyards and surrounding landscape seem to blur the borders between interior and exterior, outside and in. 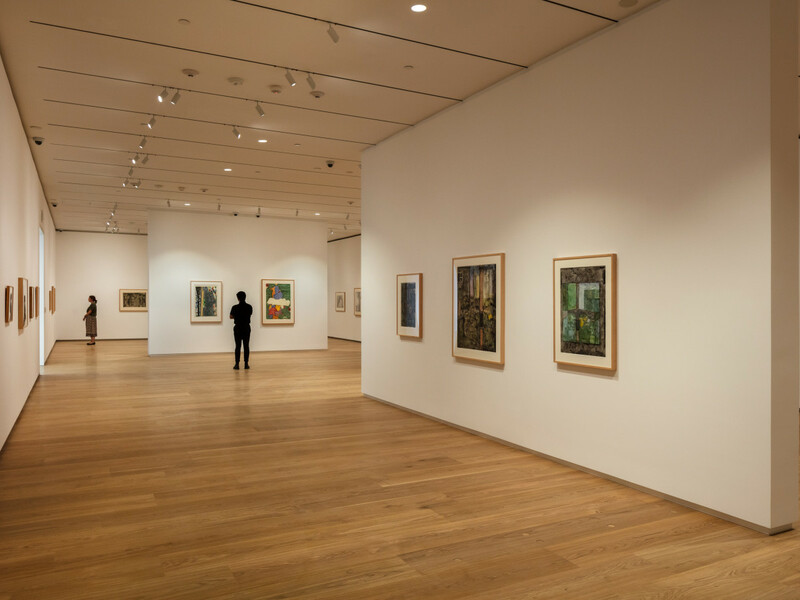 To inaugurate the exhibition space, the Menil presents drawings from one of American’s greatest living artists, Jasper Johns. The Condition of Being Here: Drawings by Jasper Johns exhibition contains 41 works of art from 1954-2016, include drawings made in graphite, ink, charcoal, watercolor, colored pencil, acrylic, water-soluble encaustic, pastel, powdered graphite, gouache, and oil stick, on surfaces ranging from paper to plastic. “When the drawings are viewed together they trace the artist’s life-long interest and exploration in drawing as an art form as well as his fascination with certain motifs among them the target and the flag that reappear in his art over many decades,” describes Rabinow, noting that the Collection has one of the largest holdings of the artist’s drawings in the world. Any addition to the Menil campus would not contain all its art indoors, of course. 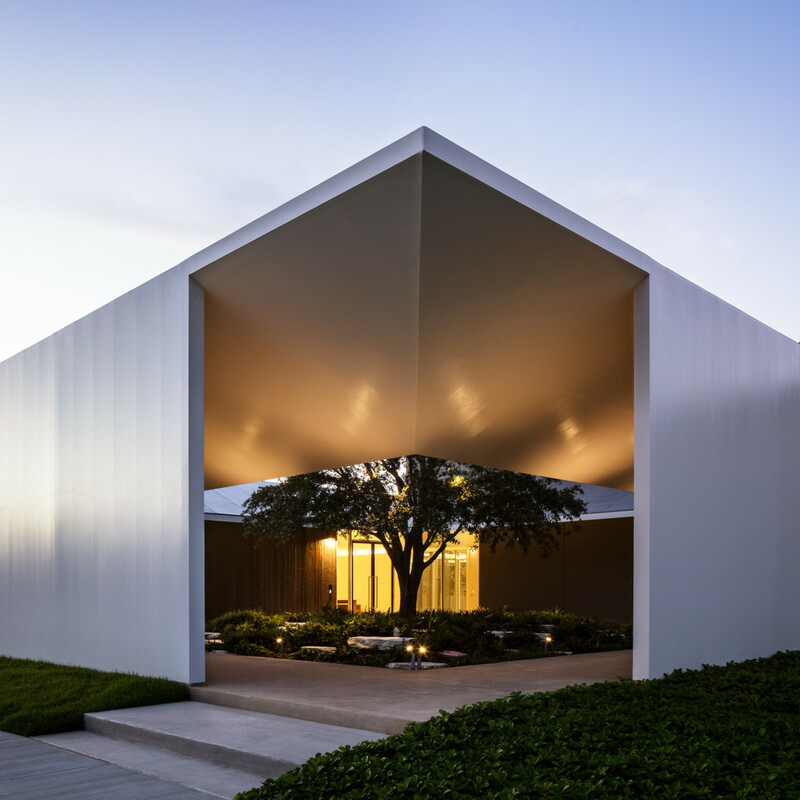 At the entrance into the west courtyard look for Ellsworth Kelly’s Menil Curve, 2015. 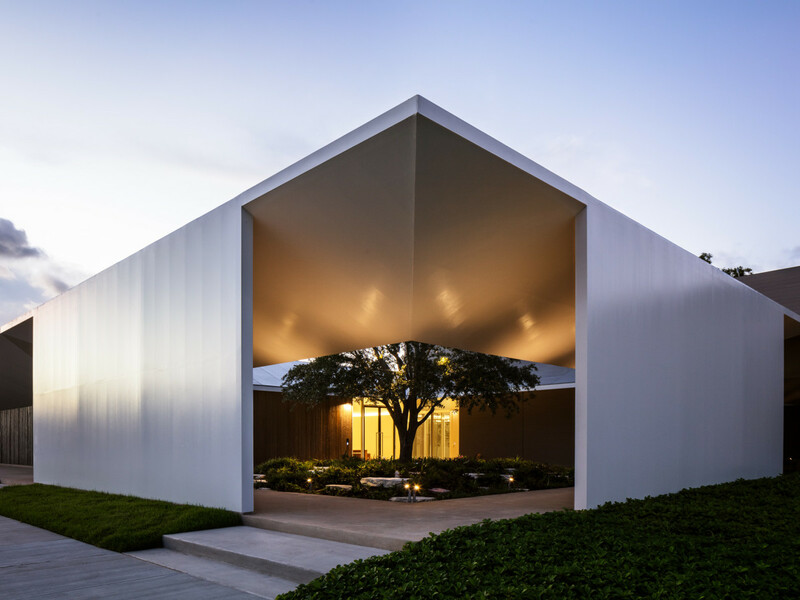 Commissioned to recognize extraordinary financial gifts to The Campaign for the Menil, the blazing white sculpture also captures the feel of the most primal elements of drawing lines, planes and angles. Those Houstonians who consider the Menil Campus a second art home will get quite the wonderful surprise walking the sidewalk on West Main Street a few steps beyond the MDI. There they will find the museum has relocated Michael Heizer’s sculptures — Rift, 1968/1982 and Dissipate, 1968/1970 from the front lawn of the main building to a red, graveled plot created to simulate the dry Nevada lakebed where Heizer originally installed the A588 weathering steel pieces. 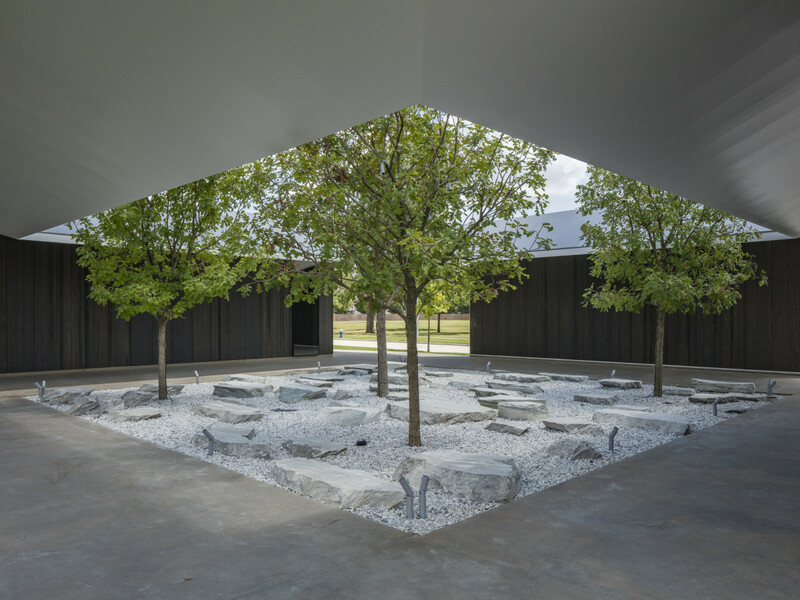 After opening day festivities on Saturday, November 3, the Menil Drawing Institute, located at 1412 West Main St., will join the other Menil art spaces opening to the public Wednesday through Sunday, 11 am to 7 pm. Admission to the Menil is always free.